In a new video interview with French media site JeuxVideo, Final Fantasy XV director Hajime Tabata discusses the ongoing development of the game, including the French voice cast, current development tasks, plans for post-release DLC and his thoughts on a PC version. Thanks to our friend Nicolas at French Final Fantasy fansite Finaland, we’ve got the English translation below. JeuxVideo: Tabata-san, what is it like to be at the head of this huge project? Hajime Tabata: (Laughs) I never really thought about it, but now that you mention it, I feel wholly responsible for giving the public what I had promised. JV: Will we get other demos after Platinum? HT: No, nothing is planned for the moment. JV: How many people work on the game now? HT: It is difficult to estimate the number of people working on the project, but I would say that there are about 300. Final Fantasy XV and Kingsglaive are projects that require the production of a large volume of data, so we need work with many studios worldwide that are specialized in computer animation. 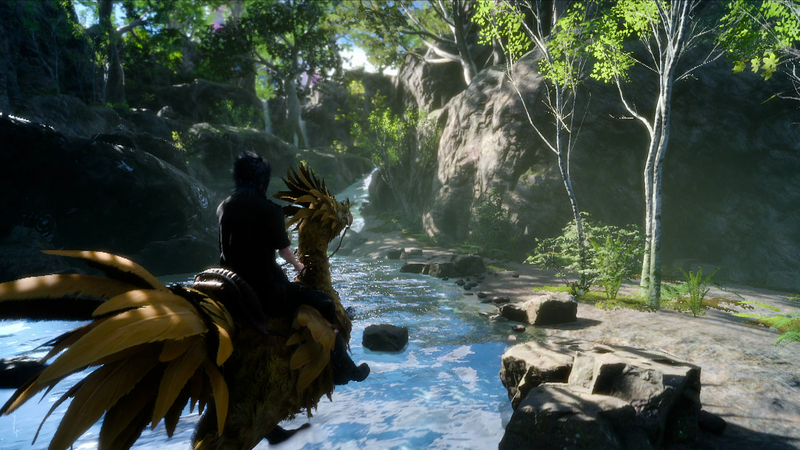 JV: How far along is Final Fantasy XV in its development? HT: It’s hard to tell you exactly a percentage for the moment because we are in the localization phase. It was recently decided to include a French dub, for example. In any case, we have enough confidence to announce the release date, and we still have six months left. JV: About the French localization, can you tell us more about the French voice actors? Are they famous? HT: We want to use famous French actors and ask them to participate in the localization process. Most important for us is not the level of fame but if it is perfect for the role and if he’s the best to express all the emotions of the character. I think you’ll be pleased with our choices. JV: The Luminous Engine did a great job on the game and cutscenes. However, the Final Fantasy series is known worldwide for his cinematic sequences in CGI. Will you put them in the game? HT: There are actually CGI cinematics in the game. I think there are, however, a little less than in previous Final Fantasy games. Rather than having too many cutscenes in the game, our desire was to make a long feature film. Kingsglaive, to us, was the best use of CGI. For me, video game fans in France are smart because they see a game as a cultural item. So I think the French will understand well what we are seeking to do through these separate but complementary stories of the game, the film and the animated series. I’m sure the French fans will appreciate the links between all these characters. JV: What kind of things do you have to work on before the game’s release? HT: At the moment, we are working hard on the final balancing between environments to refine the best adventure. We are also checking details such as the amount of experience earned as a result of certain actions, the time needed to gain a level, the power between the various weapons, and the speed of some animations. Engineers have already entered the phase of optimization and artists are concentrating on polishing. JV: Many questions were asked about the framerate of the game. 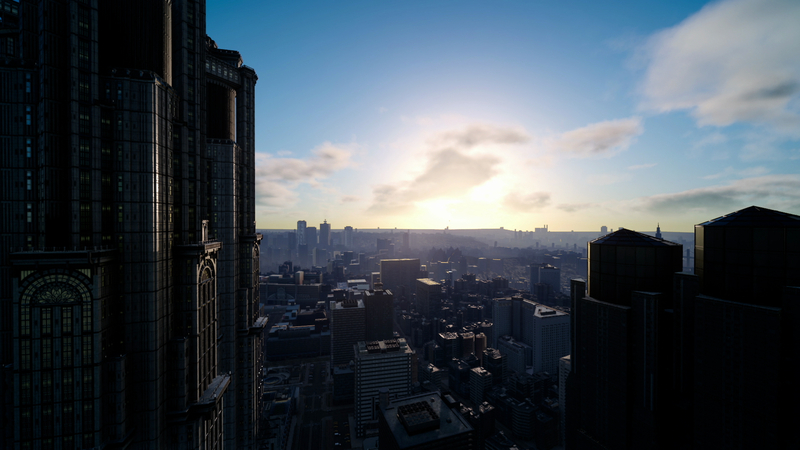 Several people saw the game running with a stable 30 frames per second in the Uncovered trailer and footage and were disappointed with the Platinum Demo. What have you to say to these players and will you improve the framerate? HT: We are currently in a process of optimization and it is impossible to evaluate precisely how much time it will take. This is not something that you can tell in advance because you have to work on it until the very end of development. We must therefore strike a balance between what you show on the screen and at the same time consider what remains to optimize behind. For Final Fantasy XV, we completed what should be [rendered] on screen, so we can now use our time to optimize the rest and ensure that the framerate is better. We’re currently working on it. We also want to be sure that the balance is done and there is no disjunction between the spirit of the game and the real experience of the player. This is why we strive to highlight the game’s feeling and not performance. JV: We really liked the ability to transform the car into a flying car. JV: We have some questions about it. Can we drive it quite normally? Press a button and we soar to new heights over the world map? HT: That’s how it works. You must first customize the car to fly, then while you are driving, you just press a button to turn it into a flying car. JV: So can we explore the Final Fantasy XV world without loading times — while driving a vehicle on the ground or flying in the air? HT: We are currently tweaking it so that you are able to move from one environment to another without loading times. The final sequence of the recently released trailer showed that the car could easily fly. Well, we are working very hard to keep that promise. JV: The players were very curious to know about Final Fantasy XV DLC? Can you tell us more? Will they be scenario or cosmetic DLC? HT: We will make a concrete announcement on DLC later this summer. Our basic commitment about it is that they must be used to extend the gaming experience and ensure that players continue to play. We do not want basic DLC. Instead, we want DLC that can provoke the enthusiasm of players. JV: You mentioned the possibility of a PC version. Will you release it a few months after the PlayStation 4 and Xbox One versions? Is it something you want to do at all? HT: I’m quite positive about the idea of ​​developing a PC version, but I would like to make a very different project if possible. The reason I’m interested is that a PC version would propel the game to another technical level. I have in mind a version of Final Fantasy XV that is more technically developed. This version could incorporate things that we were forced to abandon because of the limitations of home consoles. With the PC, this would be an opportunity to release a version far superior in terms of quality and tech. That said, if we choose to develop this project, the development will start from scratch by doing research of what would be the best technology to use. It might not be a simple port of the console version. JV: Do you have a final message for jeuxvideo.com community? HT: Among the jeuxvideo.com community, there are a lot of people who love Final Fantasy. With these kinds of fans, we’re able to develop a game Final Fantasy XV‘s scale. I really want to share this with them. During the Uncovered presentation in Los Angeles, Mr. Sakaguchi came on stage and said he was eager to discover more about Final Fantasy XV, including the challenges the team has to address. To me that means that my efforts were not in vain and it only reinforces my motivation to go through with it. 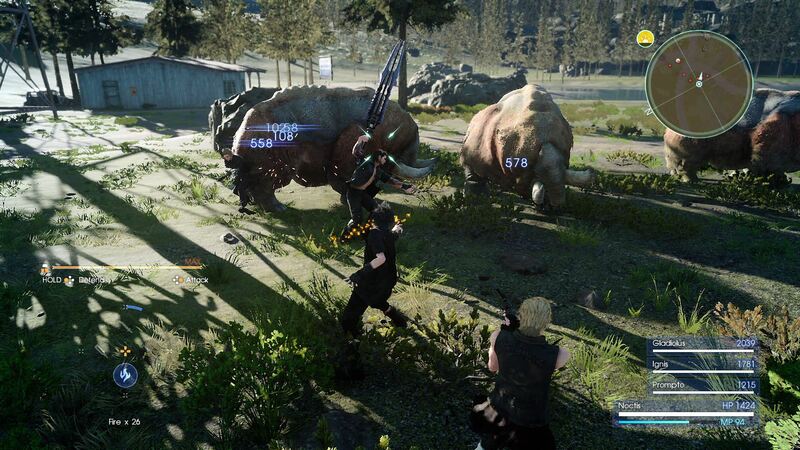 Final Fantasy XV will release worldwide on September 30th 2016 for PlayStation 4 and Xbox One. I couldn’t care less about a PC version, but I see the appeal. so either way everybody wins. I knew I was already 100% getting the DLCs. 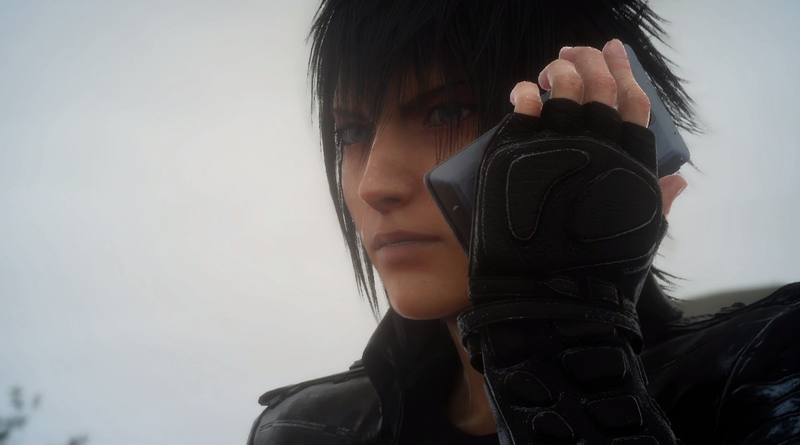 To any PC gamer reading this article, please, don´t use the word “FFXV PC version confirmed”, cause not, Tabata did NOT confirmed that FFXV IS GETTING one, he just said that there´s a POSSIBILITY one coming in the future but, still NO confirmation. Thanks for reading. More PR BS about the PC version. It’s coming and many fanboy tears will be shed. Why? Why would PS4 gamers care about it coming to PC a couple of years after it’s release? I wonder how many people will now scream “PC version confirmed!” again when he only says he would like to do one. Would would Xbox One gamers care either? I think just under 6 months is a good amount of time to fix up the framerate. Assuming the game is truly completed at this point – and they’re simply polishing. I highly doubt that, especially the part where he mentions ‘from scratch’, there’s no way the heads at SE will actually say yes, I’d say its best to move on because the project has gone through a lot of phases and I’m sure the development team would want to work on something new aside from the spin-offs. I don’t understand why they didn’t say the english voice actors when they’ve already done 2 demos with english voices? If the voices aren’t set still, just say as much. Well at least for the French gamers this articles for them. DLC wise I want added chapters for post or pre-endgame quests. And lots of clothes that isn’t Roen-based. Like the place-holder clothes from Versus13 version of the game. Maybe if it’s a post game set of dungeons and quests have Noctis dual wield to show his mastery of weapons. So waiting for them to post shots of African or Egyptian locations. If they’re traversing a whole world and it’s based on reality, there should be one. the idea of higher spec ffxv sounds as dumb as ps4k. almost a message to ps4 players: you pay full price to play a crappy version, the real deal is on PC. How is that gonna make us feel? Wouldn’t be better to start a new ip with all that investment and effort? PC port is mostly about earning some extra cash and a marketing strategy for the final fantasy franchise. DLC the adds more life to a game, like more quests and dungeons, are the best DLC. sorry, but only console gamers can be considered as true fanboys of FF. those on PC only wants XV for the graphic. not because they like the series. You may be right for a lot of people but because FF XV is the only game i’m interested in i would love it to be as complete as possible. And if i have to buy a ps4k or nintendo nx4k for it, so be it. i want this game as complete and beautiful as possible. I have in mind a version of Final Fantasy XV that is more technically developed. This version could incorporate things that we were forced to abandon because of the limitations of home consoles. This cries for a new console generation. So you buy underpowered hardware and then complain because it is underpowered and that they should hold back superior hardware that people paid for because of you? Talk about being an entitled little brat. This is not true, I’ve been a fan since the PS1 era and I want this on PC. The way console gaming is now, with the underpowered hardware, the required fees just to play online, the higher sticker price for games. This is why PC gaming is thriving so much now. There’s more freedom for the player and developer. I’ve long abandoned my PS4 since Bloodborne, because every non exclusive has also had a PC version that at the very least has better performance or better visuals while also being around $15 dollars cheaper by way of Steam/CD key sellers. Everyone knows this game was far more ambitious with what they wanted but was held back by limitations. The fact it’s an ARPG running at 30 fps shows that. Now as far as the “propel to another technical level” answer, I think Tabata is talking about running FFXV with DX12. They’re already developed a working DX12 build of luminous engine so I guess he wants it on that. It wouldn’t be too hard as they can and will just reuse most if not all the games assets, but it would be more work on the programming side because the architecture is so different. This would require a fraction of the people they have now and I wouldn’t be shocked if the project is outsourced to Hexadrive. If they decide to do it, cool that would mean the game would have its “ideal” release and the team will move on with what they’ve done with pride and work on a new title. If they don’t I’ll be happy with a simple port with some small PC specific enhancements. I’ve already bought the Ultimate Collector’s Edition, but I’ll definitely rebuy and replay the game if the game turns out well. We still don’t know much about the late game and if gameplay will stay interesting after 40+ hours of gameplay. Or rather it provides more evidence that these consoles were already weak when they released. Can barely run most games at 30fps 1080p when the world is moving onto 4k. 60fps 1080 should be a minimum. Consoles can’t keep up. A new generation would suffer the same issues. I give it another 2 generations before they’re completely pointless. They’ll either have upgradeable parts in which case a PC would be a better option in every comparison, or they’ll forever be struggling. They’ve already confirmed a PC version exists and that the ps4 version is a port of it. But it’s not a “consumer” version. Wouldn’t be hard to convert it to one, but his reasons are valid if he wants to make a “true” version of the game. It’s not an if anymore. They’ve released nearly every FF game on PC so far and have more planned. They’re clearly making money on Steam and won’t let more money escape by not making XV on PC. I know you’re excited and I know you see a logical reason why it should happen but that doesn’t change the fact that as of now it officially still is not. You get what your money pays for. That’s different. PS4K is a different deal from PC simply because of the fact that it dates its own hardware in less than three years. With PC, you have the fidelity of graphics, power, and upgrade whenever you want. Sure, it’s more of an initial investment, but in the long run, games have to run better, since it’s proportional to how much you fished out in the first place. Sorry that Sony screwed you (and me) over about the PS4 having such “powerful” specs every other game. Did you even read the part about the PC version? Where did you even confirm the PC version exists? The director mentions of a potential PC release not actually confirming it. ”Wouldn’t be hard to convert it to one”, which is why he says in the interview that he’ll want to do it from ground up. And a ‘true’ version would definitely be better in terms of handling the quality & it’s technical aspects. So you would rather wait for a few more years before this game comes to PC? 10 years and people will still wait for a version that has technical advantage rather than game’s contents. FML. WTF ?! Are you mad? I am fan since FF1 back day! i dont want to play this consoles. low frame rate low ress ect ect. this game max settings pc.. omg dream. very nice as I am biggest fan of Final Fantasy X .